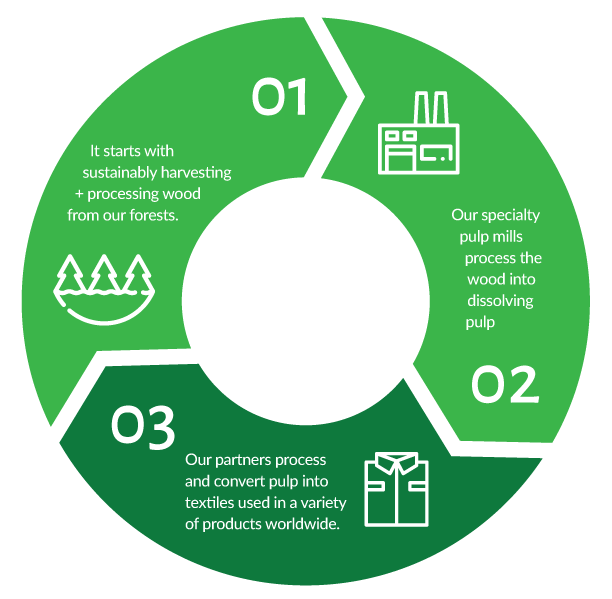 Our exceptional product begins with sustainable forest management,. Wood is then harvested to produce dissolving grade pulp at AV Group NB’s Atholville and Nackawic mills. Dissolving pulp or specialty cellulose is used for the manufacturing of natural-based, viscose staple fibre used to make natural fabric for the apparel and home textile industry. Our natural-based fibre is designed specifically for apparel and home textile applications, and can be utilized in its 100% form. Our pulp, in its 100% form, is exported to India for processing and manufacturing to create some of the world’s highest-quality fibres for fashion designers and consumer brands across the globe. 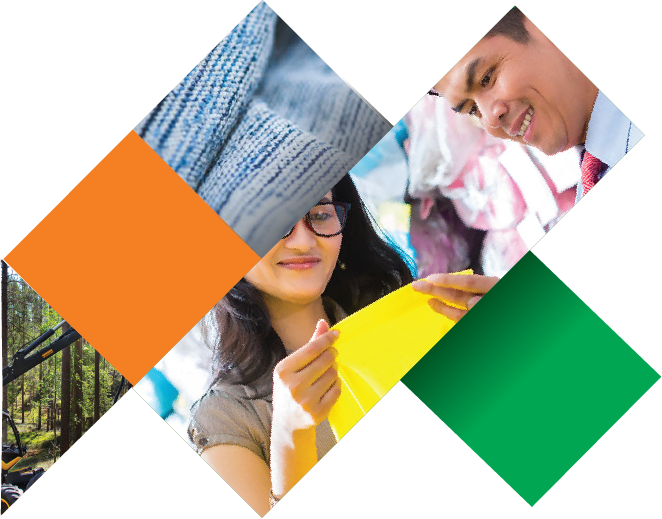 Aditya Birla is the world’s largest producer of viscose staple fibres. The pulp, in its 100% form, is exported globally for processing and manufacturing to create some of the world’s highest-quality fibres for fashion designers and consumer brands across the globe.